With their strong connection to the region, Premier Sunroom & Basement Solutions emphasize their support of family and community, which is why they are one of the sponsors of this year’s Canandaigua Art and Music Festival. We conducted an interview with Mark Tait, who provided us with more information about Premier Sunroom & Basement Solutions, and their support for this year’s Festival. Here is what he had to say. Sunrooms, finished basements, siding, windows, and doors. Making peoples lifestyles more pleasurable and relaxing each day. Having a sunroom or a finished basement installed on your home will change your lifestyle for the better; allowing you to enjoy your leisure time no matter what the weather or time of the year. The art & music festival draws many homeowners who are interested in our type of products and interested in making improvements to the home. Exciting product ideas and free design services for the community. That we are a family owned and operated business serving the area for 30+ years. We are thankful for the business we generate from the area and believe greatly in promoting our products and services in local markets. Family oriented event that promotes family closeness. For more information about Premier Sunroom & Basement Solutions, please visit their Web site, http://premiersunroomsolutions.com. Softub Express is one of the many sponsors who support this year’s Canandaigua Art and Music Festival. A seven-year sponsor of the annual event, Softub Express continues to show support for the area’s creativity and much-anticipated occasion. We conducted an interview with Softub Express President, Julie Pettis, and here is what she had to say about her company and their support for the Canandaigua Art and Music Festival. Softub Express is a division of Pettis Pools & Patio, a 48-year-old family business based in Rochester, NY. In addition to being a full-service retailer of Softub portable hot tubs, Pettis Pools also sells in-ground and above-ground pools, hard-sided hot tubs, patio furniture, saunas, and accessories. We also offer field service on pools and spas. Our customers are our inspiration. We strive to improve the quality of their lives through our products and services and to live up to our reputation as Rochester ‘s #1 Pool & Spa Company, every single day. That Softub Express is the largest distributor of Softubs in the US and is run by three women. This will be our seventh year participating in the festival and we’ve always enjoyed the quality of the event and the people. A fun, portable, affordable, energy-efficient alternative to a traditional hard-sided tub. Perfect for your lake home, boat, or anywhere else! That they can purchase any of our products with utmost confidence. Participating in community events is an important part of introducing ourselves to people and letting them experience our products in person. It will draw even more attention to the increasingly popular and beautiful area of Canandaigua. The beauty of the area, the quality of the offerings at the festival, and the friendliness of all involved. For more information about Softub Express, please visit their Web site, http://www.softubexpress.com. Kristen Maxfield is well-known for her old-school R&B sound, which encompasses elements of Motown Soul, ‘70s funk, modern hip-hop, and classic songwriting at its best. After living and performing in New York City for three years, Kristen is back in Rochester to take the music scene by storm. Kristen, who has always known that she wanted to be a performer, feels that her family helped spark her passion for the business. “I believe growing up in a very talented family, surrounded by music and all of the arts for that matter, is what really pushed me to believe that I could in fact be successful as an artist,” she said. “I began writing music when I was in sixth grade and continued to do so throughout high school and college which has lead me to where I am now,” Kristen continued. Her hard work continues to pay off, as Kristen’s music has been featured on many Rochester radio stations, including 98.9 the Buzz and 95.1 the Fox; as well as stations throughout London and Spain. Kristen’s first album, “Whatcha Waitin’ For?” was released in 2009, and continues to be well-received by fans. “I believe the latest comment I received is that my music is ‘timeless.’ I don’t think it gets any better then that,” she said. Kristen’s work is currently being featured and sold on iTunes, CD Baby, Record Archive in Rochester, Mobile Music in Canandaigua, and is also available at all performances. Kristen will be performing at this year’s Canandaigua Art and Music Festival, Sunday, July 18th, 5:00 p.m. – 6:00 p.m. on the Commons Park Stage. 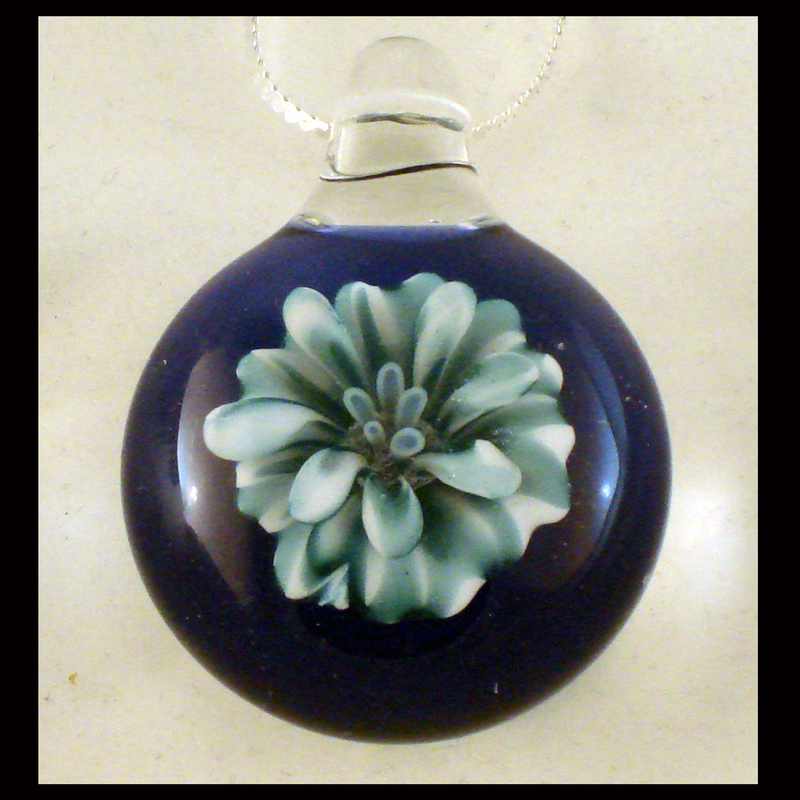 Delish Handmade Glass is a company that offers specially handcrafted glass jewelry, beads, and sterling silver products. Based in Rochester, NY, the company was created and designed in 2007 by Jeremy Griffith (of Carbondale, IL) and Chelsea Foehr (of Redding, CT). Jeremy: So the story goes…in 2006 I was asked to be a teaching assistant at the Pilchuck Glass School in Stanwood, WA for Jeremy Lepisto and his wife Mel George. They told me that having two “Jeremy’s” was not going to work, so they said I better come up with a nickname. The other teaching assistant was Mark Salsbury, aka “T-Bone.” Therefore, they said that if I didn’t come with a nickname they would call me “Delishious” (that is how Mel’s spells it –she is from Australia), so that the assistants would be known as “Delishious T-Bone.” After that so many people knew me as “Delish” that Chelsea and I decided to call our company Delish Handmade Glass. Chelsea: I don’t think there was one instant where I went from not being an artist to being one; it has always been my nature, from birth. I suppose the realization that I am an artist occurred over time as I discovered more qualities about myself that were already there. Jeremy: I have always loved to make. As a child/teenager I was a painter and then toward the end of my teenage years I saw my first glob of molten glass. I was hooked and from that moment on I knew I wanted to be a glass artist. How did your company come about? What inspired you to create something like this for the community? Jeremy/Chelsea: It’s kind of odd, but we knew several people that were closing their glass shops due to hard economic times while we were in the midst of opening ours. Many of the glass shops that closed or are currently closing are on the west coast (mainly Seattle, WA), which has the densest population of glassworkers in the country. We decided after being in Rochester for a bit that it seemed like a great place to start up a shop. There aren’t too many of us out here. Rochester is close to so many metropolitan areas and people in New York love art –we’ve always done well at the shows here. So, we decided to take the plunge and give this a shot. In your own words, what types of products do you offer? Jeremy/Chelsea: One-of-a-kind hand blown glass. We make a large variety of items, from jewelry to home decor. Our portfolio is much larger than what we make available at our festivals and we are always looking for a challenge. We have the capabilities of doing custom pieces and larger, architectural scale commissions as well. Jeremy/Chelsea: We are often told by customers that they have never seen anything like what we do. We strive to have unique designs in our forms, patterns and color techniques, and are pleased when we hear that our customers recognize that. Jeremy/Chelsea: A large collection of unique, one-of-a-kind, hand-blown glass art with something for everyone! 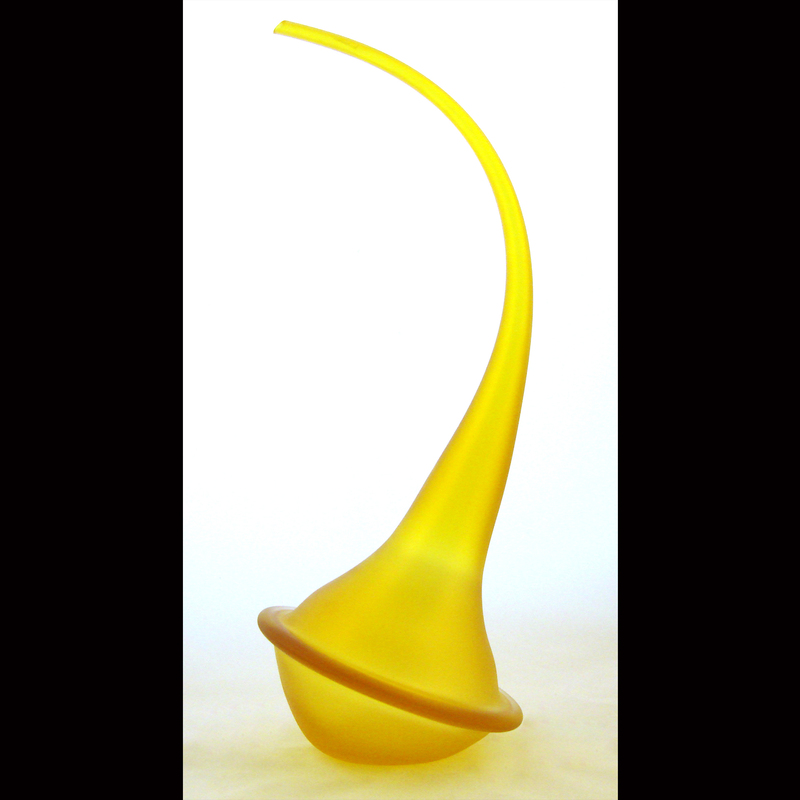 We have inexpensive, fun items like bacon and egg earrings as well as elegant sculptural vases. 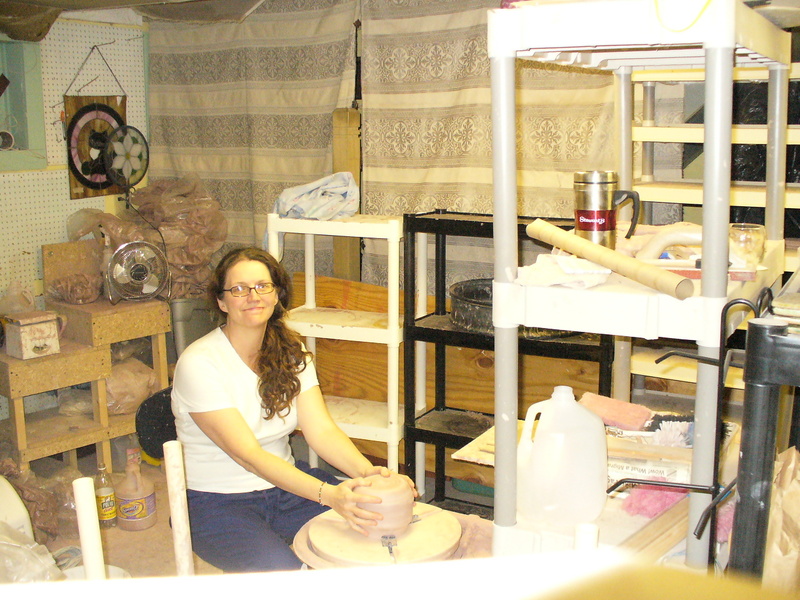 Jeremy/Chelsea: That we have a new studio location where our work is available for purchase and that we will soon be teaching bead and pendant-making classes there as well. 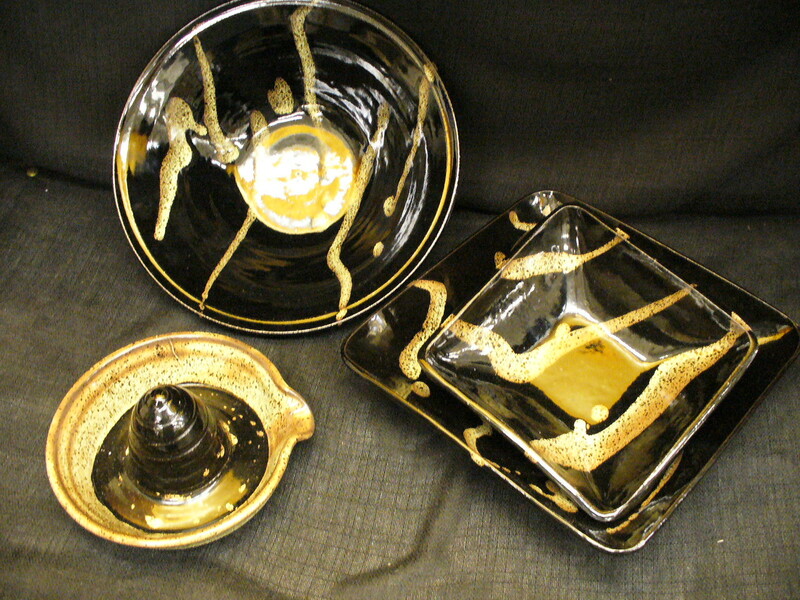 Jeremy/Chelsea: At our upcoming art shows that are always posted on our Web site, http://www.delishglass.com, Etsy.com, and at our studio every first Friday of the month from 6:00-9:00 p.m. (or anytime by appointment). You will also be able to find Delish Handmade Glass at this year’s Canandaigua Art and Music Festival, Friday, June 16th through Sunday, June 18th. 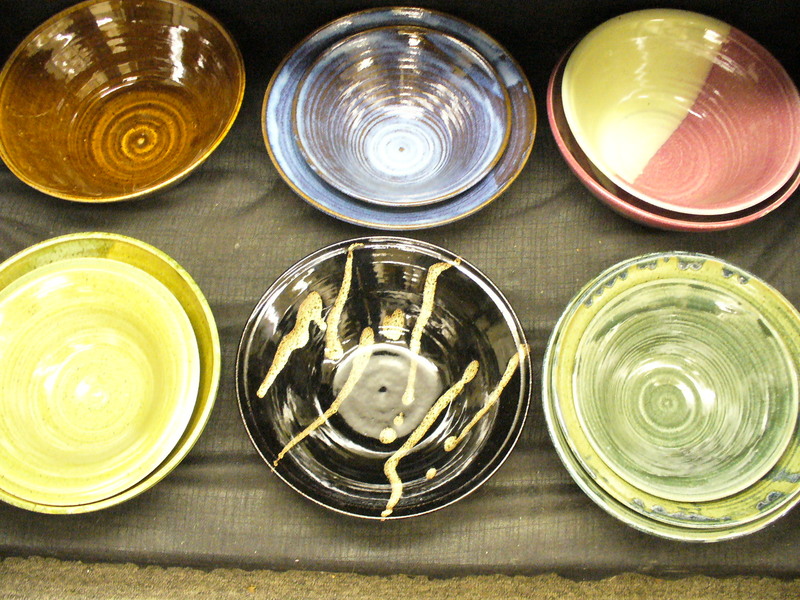 Stop by their booth to see their original, one-of-a-kind hand-blown glass.